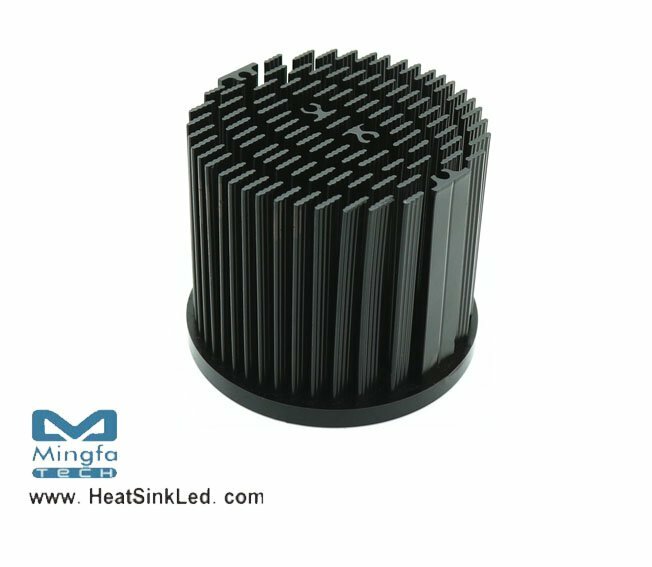 * Mechanical compatibility with direct mounting of the LED modules to the LED cooler and thermal performance matching the lumen packages. * Thermal resistance range Rth 3.3°C/W. * Diameter 60mm - Standard height 50mm , Other heights on request. * Forged from highly conductive aluminum.